Valentine's Day is approaching. I thoughtfully greet my better-half, Rebecca, an advanced Happy Valentine. I do really love Rebing. My love for her has never failed. "Love is what we make it", a line from a love song popularized by Kenny Rogers, yields an idea on how love developed among sweethearts and couples for the happiness, satisfaction and the never-ending joy for that matter. 1. Love is based on the powerful attraction between two people, an attraction that is physical, emotional, social, and spiritual. 2. Love includes a deep empathy and understanding for the loved one. Empathy is the ability to feel as the other person feels and shares intimately what the other person experiences. 3. Love is an emotion with great binding power. It fuses and unites two people into oneness, holding them together through many troubles, challenges, and problems. 4. True love desires the highest good of the loved one. When one loves another, he desires those things which will bring that person lasting joy; he would do nothing that would jeopardize the others eternal potential. 5. Love involves a willingness to share resources. The one who loves finds joy in sharing with the loved one his time, money, abilities, strengths, or any other resources available to him. 6. True love is highly durable. It recognizes and accepts imperfections in the other without loss of love, endures strains and challenges to the relationship, is not weakened by physical separation, and weathers problems without permanent damage. 7. Love is a living thing. While it is highly durable, it does require nourishment and care or it may begin to die. As long as this encouragement and nourishment are forthcoming, love continues to grow until it reaches perfection. 8. Love accepts the individuality and uniqueness of the loved one and receives joy from that. It allows the other freedom to act, decide, and move without constrictive jealousy or limitations. 9. Love is unity. Without jeopardizing the individuality of either party, love is a coming together into oneness of spirit, purpose, desires, and experiences. Its ideal is expressed in the concept revealed to Adam: "Therefore shall a man leave his father and his mother, and shall cleave into his wife; and they shall be one flesh." (Genesis 2:24). Love for me is when I care for my wife and for my six children according to the “nurture and admonition of the Lord.” The greatest love I did ever feel is when my wife, Rebing and together with our children were sealed for” time and eternity” in the temple of God at Manila Philippine Temple sometime in 1986. Thanks for sharing this post.It provides readers the reason to stop for awhile and reflect these genuine qualities of LOVE and eventually realize that indeed true love is shared and creates completeness of one;s existence. very beautiful post about love and life. 10.Love is Rebing.A love that never fades. Happy Vlentines to both of you.I hope that me and hubby's love will stand the test of time just like yours .We are only 7 years married but I was hoping that our love will never fai l and that westill be together until our last breathe. Inspiring words about love. 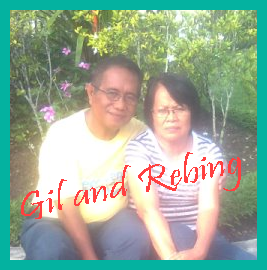 I wish you more loving years together with your beloved Rebing! This reminds me of the love shared by my parents. They may not be the parents who are too showy about their love for each other but I admired how they stick together even beyond 50 years of marriage having raised 7 children. If love is what we make it...I am hoping that one day I'll be able to find that someone I can share my love with. One thing I admire most about you is your love for your wife. Truly admirable! Sana more men love like you do. You'e great Sining Factory by giving importance to your family. Family is the basic unit of society and family exists in Heavenly Father's realm. Mr. Kenny is a great artist, an icon that shares lovely compositions and songs... plus very inspiring.. more love love love in the world! The Holy Scriptures nailed it all. It's inspiring to see a man express love for his wife like this. NApaka sweet nyo naman po! Nakakainggit, My parents are always quarreling yun na ata lambingan nila.. Hehe. Thanks for sharing your thoughts about love... happy valentine's! "sealed for time and eternity"... proud naman po ako sa inyo! sana nga po mas madami pa kayong "mahawa"! For me LOVE is the most powerful thing in earth . Mysterious and majestic. Divine and pure. Sir Gil, i know love sustains me after all these years and will continue to be my guide all throughout my life. Love makes the world go round. Love makes everyone happy. 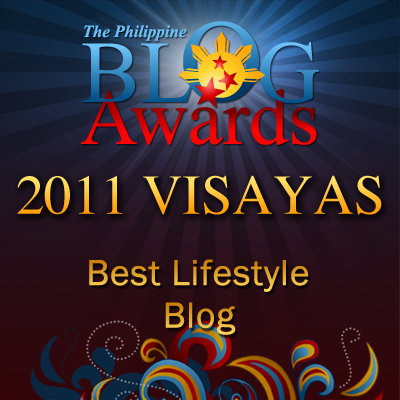 To quote Anthony Castelo's song: "Nang dahil sa pag-ibig, ako'y naging tao!" Love the #6 and #8, sir Gil.. Love is highly durable and accepts the individuality of a loved one. That is so true. Pag mahal mo ang isang tao, yun ay dahil mahal mo ang buo nyang pagkatao.. tanggap ang imperfections. Hindi mo sya pipiliting baguhin ang sarili, based on YOUR standards. Love is acceptance of the fact that you two are different people, but are willing to be one. Love is not weakened by physical seperation. That's also very true, sir.. I like how you pour your heart out for this post. May you and your wife be blessed with longer and happy years together. Advance happy hearts day to both of you! love is really in the air . I can smell it. Great post for this valentines day! With this quality of love, love can endure forever and stand the test of time.